Have you ever tasted a volcano? You can if you make a volcano model from ice cream and chocolate syrup. We have observed that “learning by doing” is one of the best ways to learn science. This is one reason my husband Richard and I developed the God’s Design science curriculum. We wanted our children to enjoy learning about God’s creation. When our children were younger, we used a Christian school textbook to teach them science. But we felt that they would benefit from more hands-on activities to help them fully understand and enjoy what they were reading. We also wanted to teach our four children as a group. As trained engineers, my husband and I applied our educational backgrounds and work experience and began writing science lessons. After much trial and error, we came up with a method that was easy to use and fun for both Mom and kids. We started with a short explanation of a concept, followed up with a fun activity, then wrapped up the lesson with review and application questions. While we found many activity books with fun experiments, most were not connected to a curriculum. Our kids did the experiments but didn’t really understand what they were supposed to learn from them. By incorporating the activities into a short lesson each day, and organizing the lessons so that they built upon each other, we taught our children to enjoy growing plants, measuring friction, and making perfume. And most importantly, they learned the concepts behind each experiment. Because we also wanted our children to learn about science from a biblical perspective, we incorporated into the lessons what we learned about God’s creation from Answers in Genesis, the Institute for Creation Research, and other creation organizations. Creation versus evolution teaching was not an extra subject or something we visited just once; it became an integral part of our science curriculum because the idea of evolution and millions of years is pervasive in our culture today. We wanted our children to be able to easily identify evolutionary biases in the material they read. We also wanted them to critically examine scientific claims and to compare them with the teachings of the Bible. After our children completed a biblically based science curriculum each year, from elementary through high school, they were prepared for the challenges of public universities and the secular world. We’re excited about a new resource that was not available when our sons were in high school—AiG’s Answers Education Online. 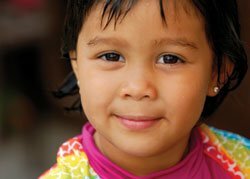 These classes can help cement a child’s understanding of science from a biblical worldview. Most children are like ours—they really enjoy a good science video. But given the evolutionary bias of most library resources, we sought to include alternatives from a biblical perspective. Happily, we found many DVDs that keep a child’s attention. For instance, Moody Bible Institute offers several video series that reveal the wonders of creation from a biblical perspective, including Newton’s Workshop, Journey to the Edge of Creation, and the classic Wonders of God’s Creation. 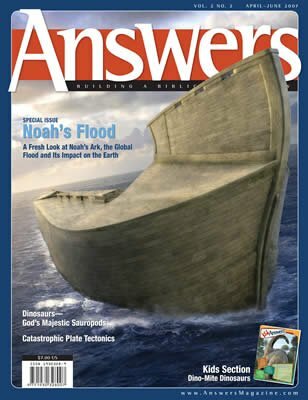 Answers in Genesis offers the award-winning Creation Adventure Team series. And AiG and other creation organizations also offer an extensive line of more lecture-oriented DVDs in many specialized areas of science. Travel through time—starting 3.5 billion years ago. Your journey begins beneath ancient seas. Life diversifies as you move through the millennia, surrounded by fearsome fish and waving sea lilies. Soon you’re out of the water and the air is filled with huge dragonflies. Foot-long centipedes crawl around you. Then the dinosaurs appear! Their displays include a movie showing the fiery start of the earth, followed by its slow cooling and the gradual development of life in the primordial seas. While raising our children, we didn’t avoid museums; instead, we learned to talk about the evolutionary worldview of each exhibit and bring the biblical perspective to what our children saw. New creation materials are making this even easier. For instance, you can now take the AiG Zoo Guide with you and easily discuss God’s design in the animals you see. Our children have reaped the benefits of a biblical science program by becoming well-grounded in the truth of the Bible. To no small degree, we credit God using the lessons and activities that are now the God’s Design science curricula to strengthen our kids’ faith in His Word. As a result of the education they received, four more kids are now able to effectively defend their faith in a humanistic world and to share the logic and authority of God’s Word with others. These same benefits are available to any child. Besides that—take it from a mom who knows—science truly can be fun and exciting. Are you ready to get started? See AiG–USA acquires God’s Design science curriculum for more information on God’s Design science curriculum and the Lawrences. Visit God’s Design Science Curriculum—Sample Lessons to view a sample lesson from the God’s Design science curriculum. Various research, including the recent AiG/Brent Beemer poll,1 reveals that tens of millions of young people in the USA will walk away from the church once they’re out of the home. Moms and dads of public school students must closely monitor and supplement what their children are being taught in class. Homeschooling parents should carefully choose primary curricula that present the biblical creation interpretation of the world while also explaining the basics of the evolutionary interpretation. It is essential that you get the right information into your children’s minds early and often. See Educational Resources for a list of resources that can help you do this. Last fall, Answers in Genesis commissioned a poll to follow up on the findings of a Barna research study. 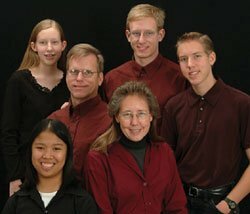 Britt Beemer of the America’s Research Group (ARG) contacted 26,000 homes throughout America to conduct a scientific poll to discover why young adults who used to regularly attend church and Sunday school stopped attending once they left home. See Culture and Church in Crisis.